Apple's certified refurbished iPhone X starts at $769: too much, too late? Apple refreshed its certified refurbished online storefront shortly after adding the iPhone 8 and 8 Plus, as well as the HomePod, to the company’s official “like new” product lineup, following all that up with sales of the newest 9.7-inch iPad model in the same perfect working condition at a (small) discount. But even though the iPhone X was commercially released all the way back in November 2017 and discontinued less than a year later, Apple inexplicably waited until today to offer its first ever “all-screen” mobile device in certified refurbished condition. 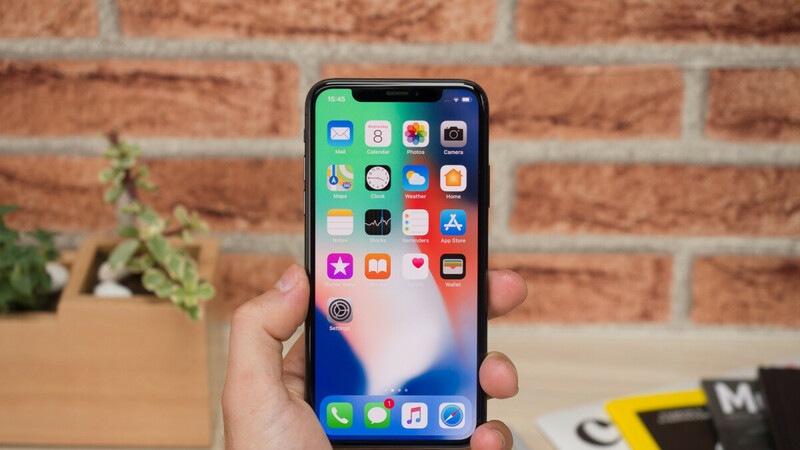 At the time of this writing, the iPhone X is available as an official refurb in the US with both 64 and 256GB internal storage space in silver and space gray paint jobs. The “entry-level” configuration costs $769, representing a $230 markdown from the original list price of a brand-new unit, while digital hoarders need to cough up $899 for a 256 gig refurbished iPhone X, compared to $1,149 back in the day for the same variant sold unused and untouched. Those are some hard to swallow price tags considering the “modern” competition of the iPhone X, but something tells us inventory will quickly run out anyway. After all, the $299 refurbished HomePod didn’t seem like an objectively great deal either, but enough people disagreed for the discounted smart speaker to vanish from Apple’s dedicated refurbished e-store. Perhaps the toughest decision an “iFan” on a budget might be facing now is whether to pick up a $769 refurbished iPhone X or $749 and up brand-new iPhone XR. The latter is faster, thanks to an A12 processor, and available in a wider range of colors, but the iPhone X’s smaller display is significantly sharper, the dual cameras are neat, and the stainless steel frame oozes elegance and premium build quality from every pore. Don’t forget that Apple’s certified refurbished products include a new battery and outer shell, as well as a new white box, all standard manuals and accessories, and the same one-year warranty as new “iDevices.” A tough call indeed! More expensive than a flagship non IPhone X (that means: better). The refurbished part gets me. Basically it's been in someone's hands for over a year, or under it could be under a year. The battery might be at 81% Max. The steel boarders could have scratches. The lightning port could be abused or it could be lose. Not worth that used price. That’s is not true. DEFINITION: refurbished phones means not a damage phone. Some of the reason the opened box can called unboxed phones or refurbished phone. yes, you can buy unboxed phones because its good deal to buy phones. ... Well, most Manufacturer Refurbished products are tested for proper functionality. +1 Apple phones that are refurbished (by Apple) are generally solid phones, and they also have the bonus of being able to add Applecare to them as well. It doesn't work like that, Apple refurbished phones have new battery and new outer shell. Those feel like a brand new. Watch out for the aged OLED screen! Have you ever held, or even seen a refurbished iPhone? I’ve had two of them...they are absolutely indistinguishable from new, in appearance as well as function. Agreed but it is around the price of the Xr. If one could choose between the two, I wonder how they would choose? Definitely the X over the Xr though they're both overpriced. XR by a long shot. I even chose XR over XS and it was the best choice. Wow, I am surprised by this. Apple is full of surprises lately. I'm surprised that they finally decided to do this. Minus the A12. The X is superior to the XR in every way. Lets not get into bigger phone and hence more battery equation. The X has better screen, premium finish, 3D touch for those who use it and most importantly for folks who are already crying about one hand use. The one hand use is what made me choose the X over the XR in the end. I loved the XR but not the size of it. The only plus for X is the 3Dt (and one hand usability), everything else falls short from XR (even in screen department there are pluses and minuses). Like I said. XR is a bigger screen phone with a 720p screen and the size gives it a battery advantage. Minus these 2 (if we call the 720P screen as 1), what are the advantages of the XR over the X? For a lot of Asians I know, the dual sim is a very important feature so I guess I can give the XR a plus for that. I got my iPhone X refurbished on eBay for less than what Apple is charging, but then again, I got a 64GB model. I also purchased it during Black Friday and I gotta say, the X is well worth the purchase. I was close to getting the XR, just so I could be current, but when looking at the specs, the X is superior in every aspect minus last year’s processor. Honestly, the XR needs to be cheaper than the current price, by probably $150. I bought a refurbished X with 256Gb for 700 (after tax) in perfect cosmetic condition and 97% battery health on Amazon. Refurbished price is laughable, just go with a new iphone 8 or 8 plus. Am sure it will sell, but that amount of money can get you a lightly used XS.